As part of Hockeyland Canada’s season preview, each division will be examined one team at a time to identify players to pick and players to avoid. There are six categories of players covered and it’ll continue with the Pacific Division. Plenty of stud players for fantasy poolsters to familiarize themselves with, so lets keep it going with the Edmonton Oilers. The Elite Suite – With an Oilers franchise still getting by from the 80s elite suite, its taking longer than Oilers fans expected for the young kids to step up. As it stands, Taylor Hall is the only one to make the jump to the elite suite as he took a huge leap up to the 80 point plateau last season. His above PPG numbers in the lockout shortened year hinted at this potential, but now that Hall has arrived, he’ll stay in the elite suite for many years to come. For Oilers fans to get the wins they crave, Hall is going to have to drag a few others along if this team is ever going to go anywhere. Dependable Joe – The 26 year old, David Perron, is a veteran leader among this forward crop as he brings a professional, hard working game to the ice every night. His quick dangles and silky smooth wrister netted him a career high 28 goals, and 57 points to match his #57 jersey number. He is guaranteed a top 6 role and has plenty of offensive weapons to play with. 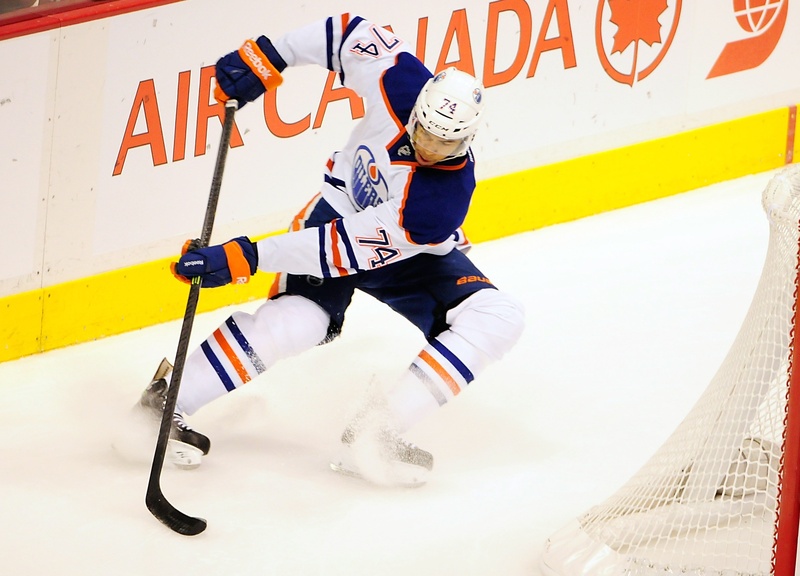 After registering nearly a point per game in 2011-12, Jordan Eberle has fantasy poolies and Oilers fans alike yearning for a repeat 30+ goal and 70+ point campaign. Those heights may not be attained again, but a 25 goal, 60 point campaign is a fair bet, especially if the top line is kept together. Under the radar for the past several years in Tampa Bay, Teddy Purcell has been a consistent producer over the past few seasons. His game dipped last season, but attribute that to the bevy of Lightning’s youngsters eating into his role. On an Edmonton team starving for veteran NHL presence, Purcell will be given a good chance to perform and possibly achieve 60+ point heights again. 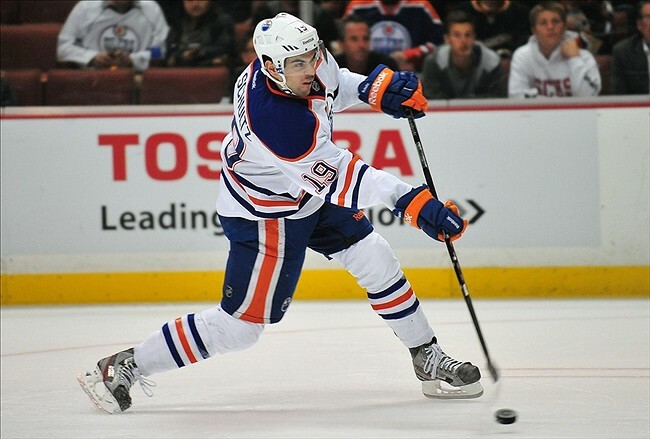 Risky Plays – Justin Schultz entered the league with much fanfare after spurning the Anaheim Ducks, who drafted him, and signing with the Oilers. Schultz has displayed his goal scoring ability from the back end, utilizing a quick wrister from the point to net 19 goals over his first two seasons. While he will still get top powerplay minutes, Schultz’s and the Oilers’ defensive woes will make sure his +/- continues being awful. Throw in weak hits, shots, and blocked shots totals, and it makes Schultz’s fantasy game undesirable. Anytime a player changes teams, there are hopes that things will click better than they ever have, but don’t expect the same with Benoit Pouliot. This former journeyman will bring much needed puck pressure to the Oilers’ game and contribute some offense, but his career high 36 points leave much to be desired. The tandem of Ben Scrivens and Victor Fasth certainly give Oilers fans more comfort going into the season as compared to last year with Devan Dubnyk. What makes them risky fantasy plays, is that the Oilers’ defense and team still have much more work to do to keep pucks out of the net and to put wins on the board. Although we think Fasth will get the bulk of the starts, this looks to be a pretty even timeshare over the course of the season, limiting any upside for either goalie. 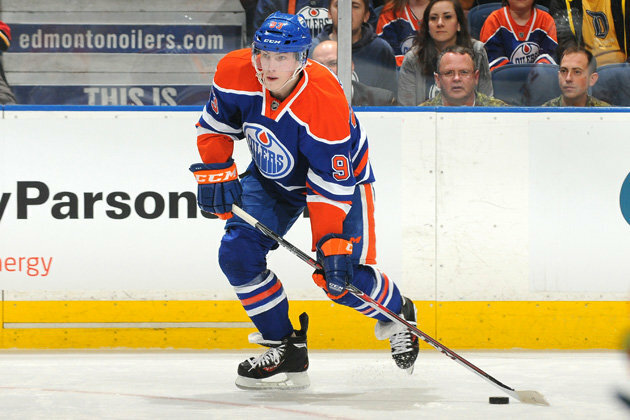 Sleeper Seeker – Being first overall brings with it a weight of expectations, and Ryan Nugent-Hopkins knows that better than anyone, as one of three such players on the Edmonton roster. A promising rookie year in 2011-12 helped lived up to the billing, but a shoulder injury befuddled him that year and continued to affect his game up until last season. With a healthy summer of training behind him, Nugent-Hopkins wants to be a difference maker this season, and that will mean a bunch of points, namely assists, for fantasy poolsters. Similarly, Nail Yakupov, first overall from the 2012 NHL Entry Draft, brought much hope to Oilers faithful, with 17 goals in his lockout shortened 48 game rookie season. A less than polished defensive game saw Yakupov ride the bench way too much in 2013-14, with subsequent sophomore struggles. Yakupov has worked hard on his game, and still has the most deadly shot on the Oilers, so a 30 goal campaign is possible if coach Dallas Eakins puts those wheels to burn. 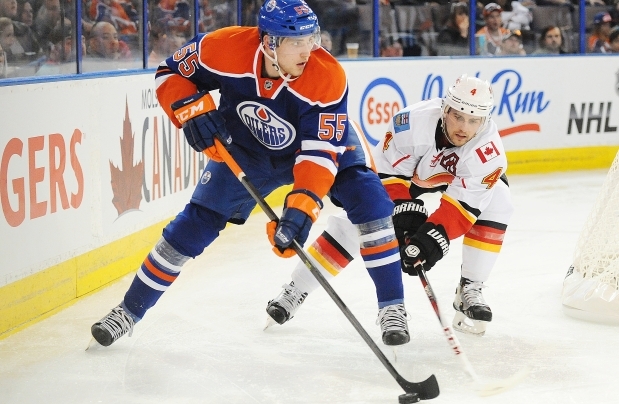 Rookies Ready to Break the Ice – The new shiny young rookie, Leon Draisaitl, joins the Oilers right after being drafted 3rd overall in the 2014 NHL Entry Draft. The Cologne, Germany native has a grown man’s body to go with his mature game in all three zones of the ice. Given the fact Oilers management decided to give him little to no competition for a spot in training camp, look for Draisaitl to stick past the 9 games and anchor the 2nd line center position, ready or not. 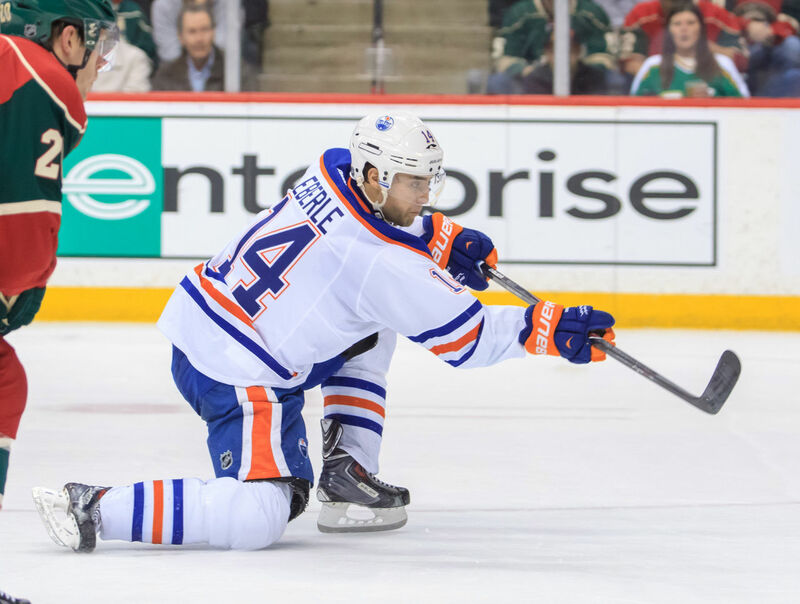 Keep Eyes Peeled – With free agent signings on the backend focused on defensive D men, we have to once again look to young players in Darnell Nurse, Martin Marincin, and Brad Hunt for offensive upside. 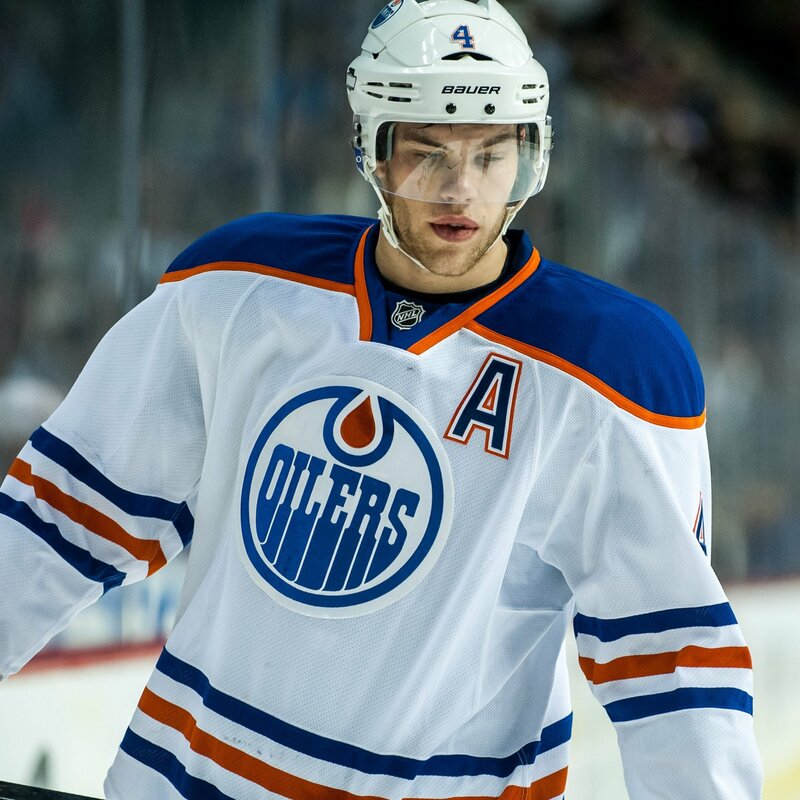 Nurse is the most talented of the three, and is likely to anchor a top pairing role on the Oilers for a decade to come, but could very well be sent back for his last year of junior hockey. Brad Hunt is lining up on the top powerplay unit with Schultz, and his canon from the point should net him some goals as long as he keeps getting big time minutes.